HARTFORD – Earlier this week, State Representative David T. Wilson (R-Litchfield) voted against legislation establishing an interest free loan program for federal employees affected by the government shutdown in Washington D.C. The legislation was brought to the House of Representatives by means of an emergency-certification. As a result, the bill circumvented the standard committee vetting process and did not have a public hearing. The amendment was defeated by a final vote tally of 88 votes in opposition to 54 votes in support. 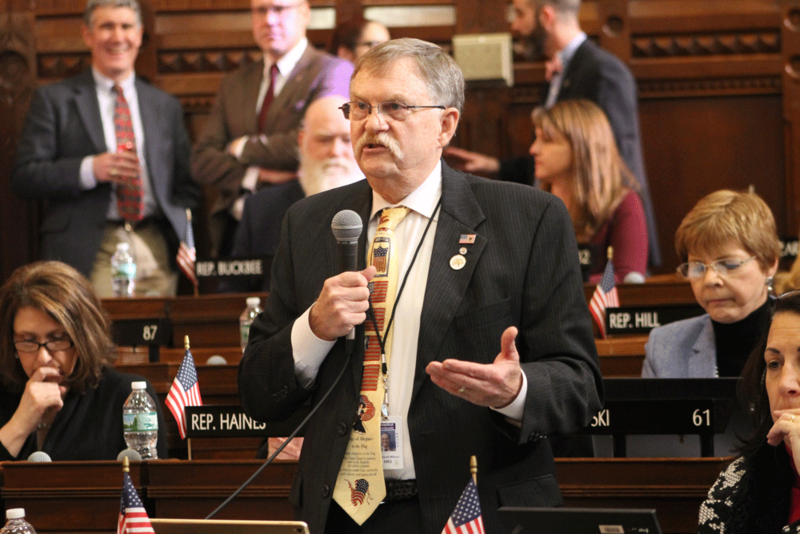 Rep. Wilson went on to say, “The bill language does allow municipalities to provide their own tax-deferment programs, which extends due dates for an affected employee’s real and personal property taxes, motor vehicles taxes, water and sewer rates, as well as assessment payments. I would have supported this portion of the bill had it stood alone, but it was lumped in with the detrimental language that puts greater financial liability on the state. The legislation passed without the amendment by a final tally of 127-15 in the House and went on to pass in the Senate with only one no vote. The governor immediately signed the legislation into law.